Winter Camp!!! February 15-19. 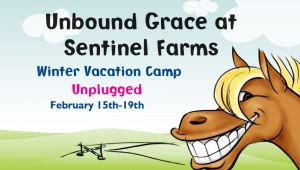 Come rock winter with horses, hiking, horses, art projects, learning animal tracks, games and baking. Check out flyer for info.